Hello folks, what is composting?! Well, composting is a natural method of waste reduction where organic matter breaks down with the help of microorganisms, reducing your waste by up to 40% and the end product is an amazing fertilizer for plants! At Argyle Alternative High School we compost using a 3 compartment bin system that we won through Green Action Centre’s Crazy for Compost contest! Fun right?! People usually ask me how we got started with composting and I tell them all the same thing, Argyle had been composting long before I came into the picture, but sadly the program died out. A couple of years ago, I brought co mposting back to life at Argyle. 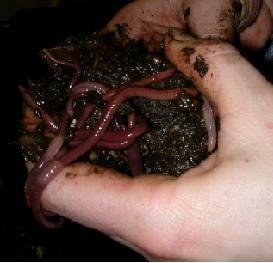 First, my teacher showed me an empty vermihut composting bin, and told me about the worms that used to live in the bin. After hearing about it I wanted to see it in action, so I asked my teacher to buy some more worms. And when he did, I loved it! It was so much fun learning about them and how to set up their bin. It was so amazing to see how this method of composting works. I wanted to learn more. This is where Green Action Centre came into the picture. I was thinking about what else I could do. My teacher then encouraged me to enter a video contest related to composting. 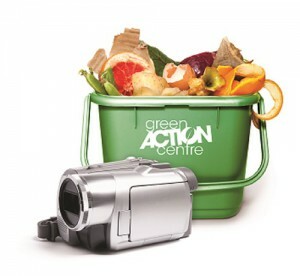 Green Action Centre’s Crazy for Compost contest was a chance to win money and resources to start a bigger composting program at Argyle, this time an outdoor bin!. 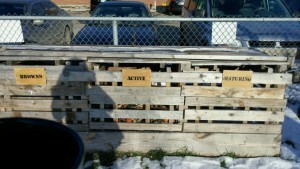 This excited me, I really wanted to learn about this new method of composting; so I asked a friend to help me. We worked hard to make a video about vermicomposting using our existing bins. And we won!! 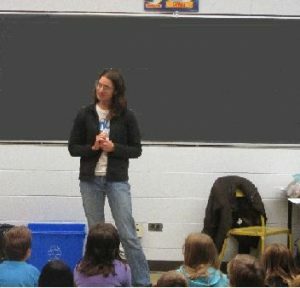 Jennifer and Sylvie from Green Action Centre visited our school and brought us our supplies, a 3 compartment composting bin system, 12 collection pails and an aeration tool. They came to Argyle and taught us about backyard composting, how to use our supplies and how to get everyone in the school on board. Now we have a collection pail in almost every classroom where students and staff can throw their organic matter. Myself and a few other students then gather all the organic waste and add it to our outdoor bin, with some leaves and shredded paper. And the magic begins! Watching the composting happen in both our vermi and outdoor bins sparked my passion. I wanted to learn even more. I heard about the Master Composter course that Green Action Centre delivers in the fall, where you can learn about composting on a much larger scale. This course was exactly what I was searching for. I’ve learned so much about the details of composting and I recommend it for anyone who is just starting, wanting to start, or is already doing it. It’s a great way to understand all about the little microorganisms living and doing all the work!! Have fun with your composting fellow compost lovers!! That was a very informative read! Thank you, Angel! It’s so exciting to see young people getting into this type of stuff, I hope Argyles compost program stays strong even without you there! Really nice. <3 Keep it up. What a wonderful story, Angel! Thank you so much for sharing your passion for composting!